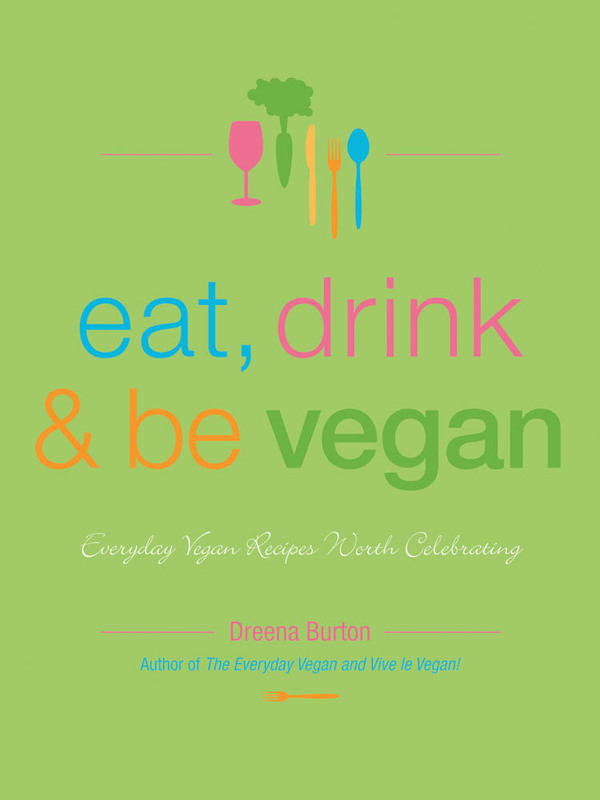 Everyday Vegan Recipes Worth Celebrating by Dreena Burton. Imaginative, colorful, delectable and healthy vegan fare perfect for all kinds of events, from romantic meals to dinner parties to casual potlucks, and for everyday meals as well. Over 150 recipes and 16 full-color photographs, as well as meal plans and cooking tips. The book includes 125 recipes and sixteen full-color photographs, as well as meal plans, cooking notes, and advice on vegan wines and beers. Recipes include Lentil & Veggie Chimichangas, Thai Chick-Un Pizza, White Bean Soup with Basil & Croutons, Tomato Dill Lentil Soup, Olive & Sundried Tomato Hummus, âCreamyâ Cashew Dip with Fruit, CrÃªpes with Maple Butter Cream, 5-Star Ice âCreamâ Sandwiches, and Hemp-anola (Dreenaâs take on granola).